How to get around big fish in the well level? Therefore I guess that you cannot really get around the fish but just have to hope that it does not come to you. The big fish is rather fast now. My memories of this level are not that precise, but I think the fish was not that agile when I was five years old. Could this be an issue with the clock speed of the Dos Box that gives the big fish an unfair advantage over the player? Or there there some other trick to beating this level that I have not figured out yet? Apparently you can use the jump key (Control) to swim a little faster. 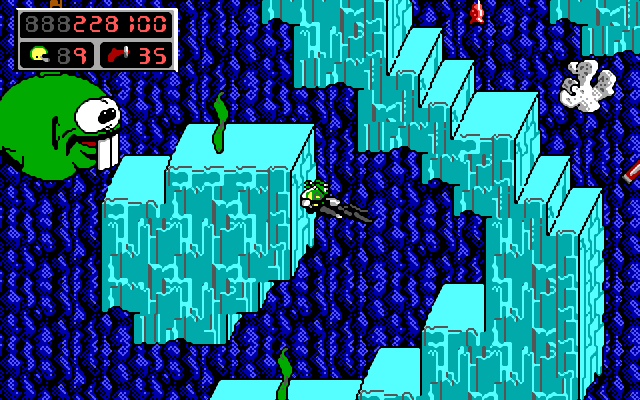 Also I realized that the fish will be sitting still for a little bit when it failed to eat Commander Keen. That and a lot of tries then actually got me to finish the level and the game. 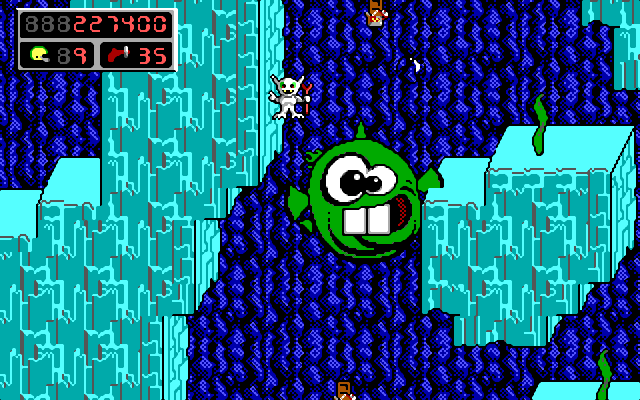 I even found a Commander Keen which has an entry for the so called Dopefish. It exactly states that the fish will pause for a bit and even eats the little fish that surround Commander Keen in that level. Not the answer you're looking for? Browse other questions tagged commander-keen or ask your own question. How do I turn on GOD mode in the first Commander Keen? How do I enter the cheat codes for Noclip, Immortality, etc?